+$Over 250 coupons have been released to help you sign up to all sorts of creative courses for free. +$If you work in any area of design then you'll know it's an industry where you never stop learning. There's always a new technique or piece of technology to master, but picking up these skills can often be expensive and time consuming. Thankfully, this list of+$Udemy Course+$coupons is here to take the edge off the price tag that's often linked to career-progressing classes. 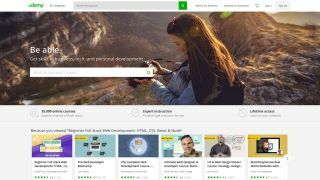 +$Posted on Reddit by user+$commandrbond+$, this list of 250 Udemy course coupons covers a range of topics, including web development, video production, motion graphics, photography, marketing, video editing and much more. +$The list of coupons is dead easy to use. All you have to do is choose which Udemy course you like the look of on the list, click on it, and then you're taken to a landing page where you can enrol for free. +$You need to be quick, though, as this list of coupons is time-sensitive and will expire soon. The list was only posted yesterday (12 October), so most of them should still be working properly. +$The list of coupons has gone down a storm on Reddit, with plenty of users eagerly exploring the free courses on offer. +$Some users were keen to point out that Udemy is good for providing a basic understanding of a subject, so you might want to choose a topic you've always been interested in but never had the time to investigate before. +$Keep in mind that these coupons aren't first come first served either, so there's no rush to grab a discount. Users can sign up to as many courses as they like, so if you've been looking to expand your skill set on the cheap, this could be the time to do it.